It’s easier than ever to order your Omaha FCU checks on-line. 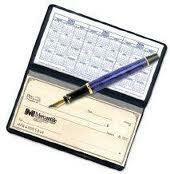 You can order your checks directly by using the link below to Harland Clarke Check Printers. If the information from your previous order has changed, please call 402-399-9001 or simply send your re-order form in with the changes marked and we will get them ordered for you.